The supplier will have access to an back end system where licenses can be administrated. It is possible to give license to schools, sites (local authorities, municipalities, counties, colleges and universities). At the moment it is not possible to give access to classes and individual students or teachers. 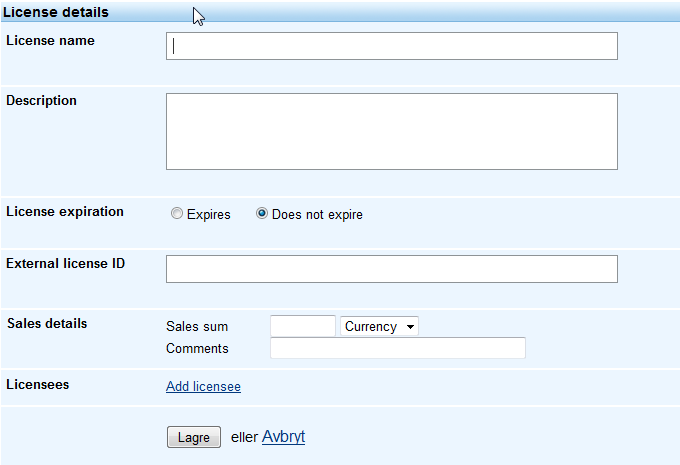 By clicking "Add license" one can browse itslearning sites and organisations. A site might be a county, municipality or other local authority. An organisation might be a single school.